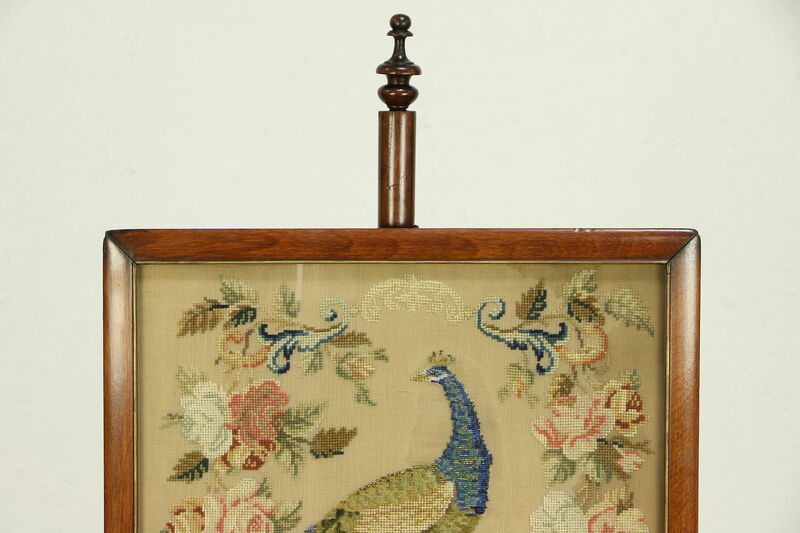 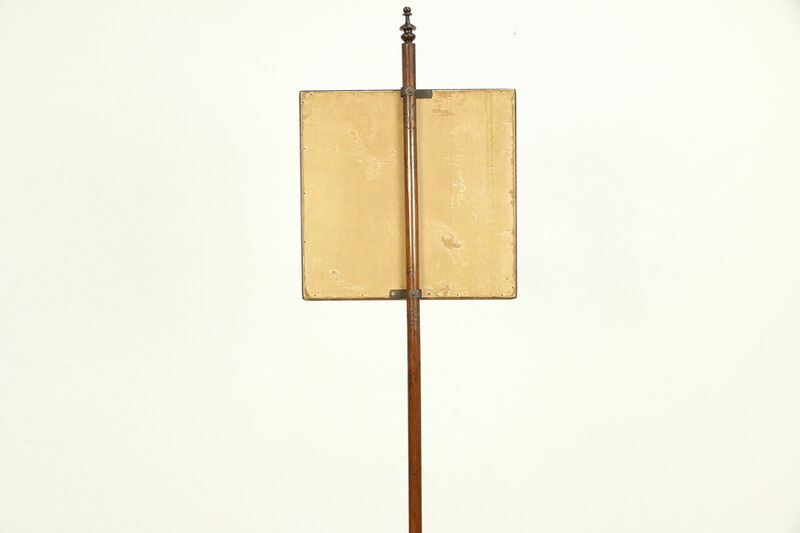 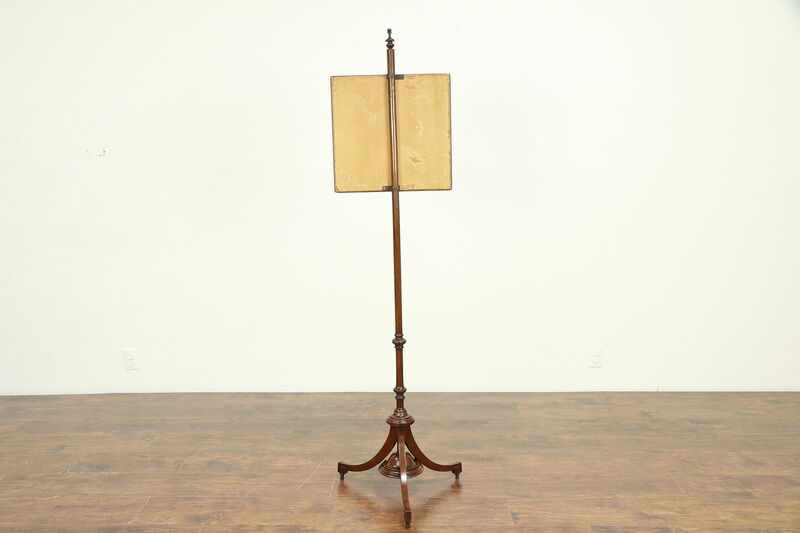 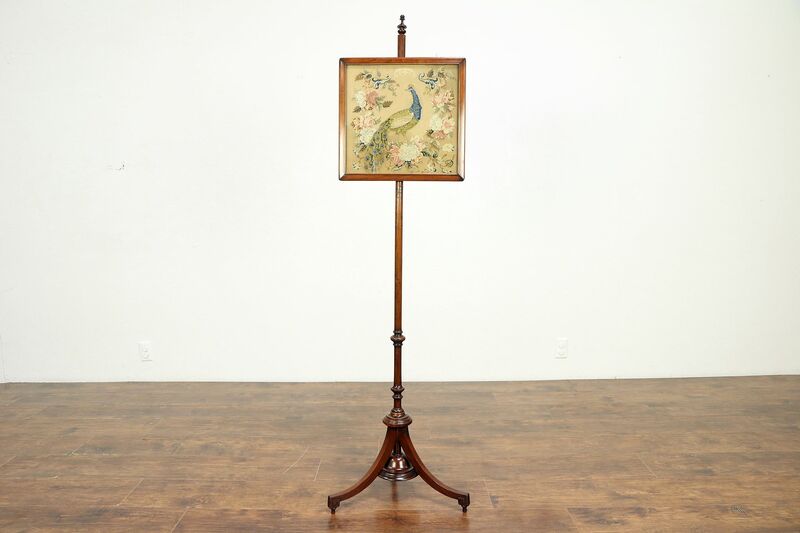 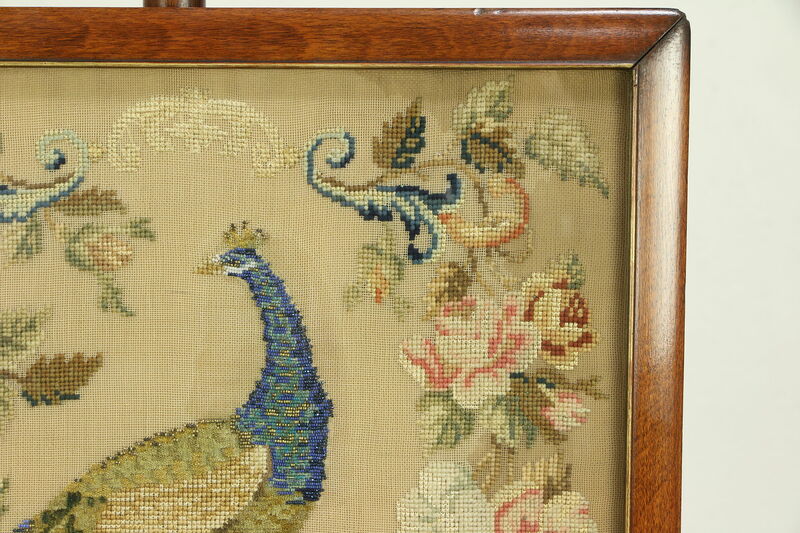 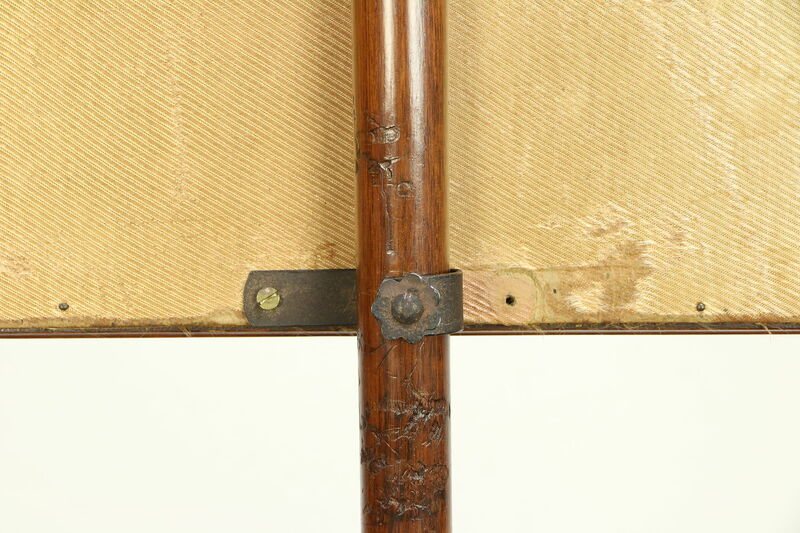 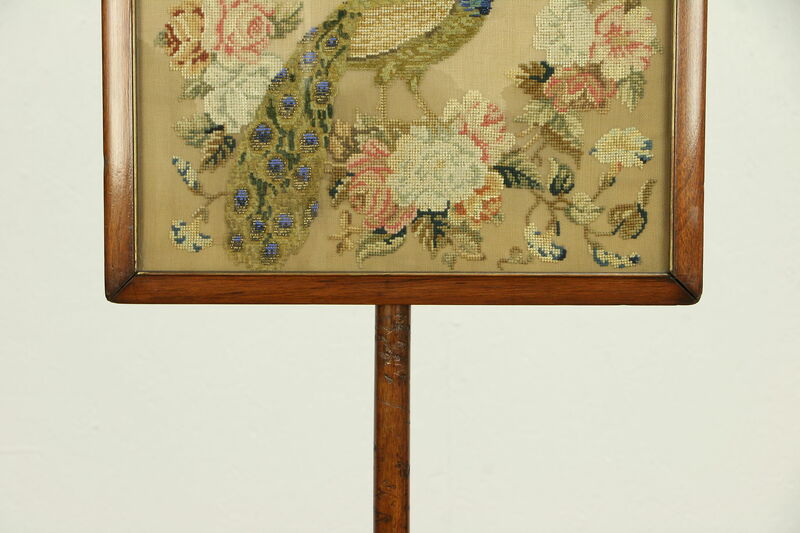 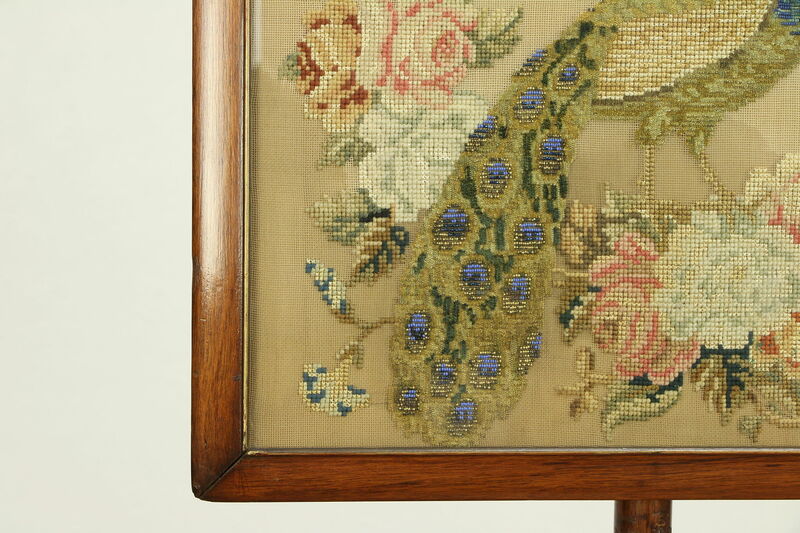 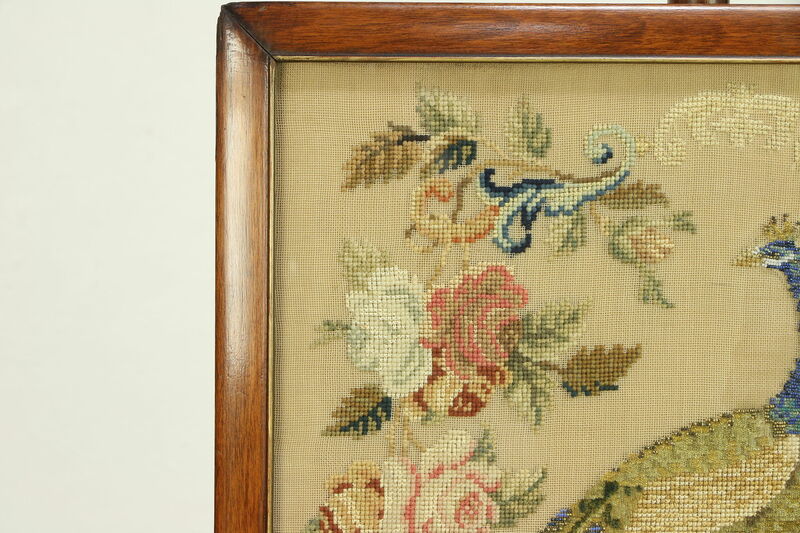 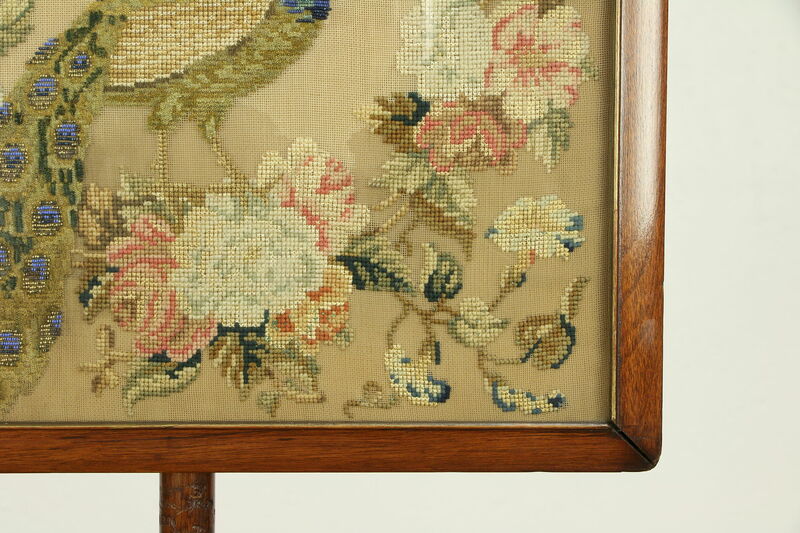 A charming Victorian fire screen from about 1870 was used to protect the face from a hot fireplace. 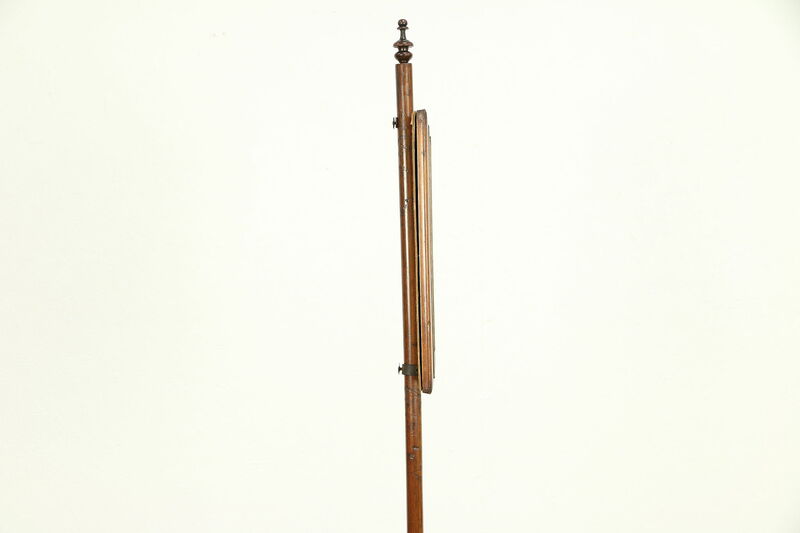 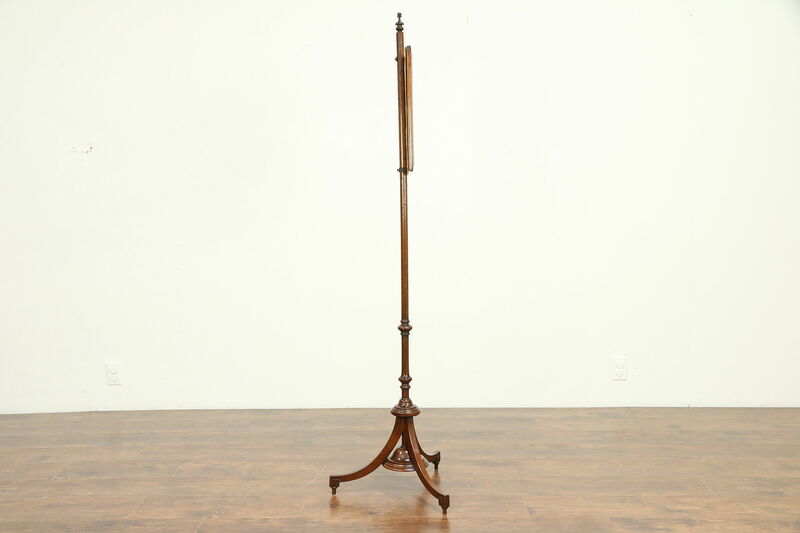 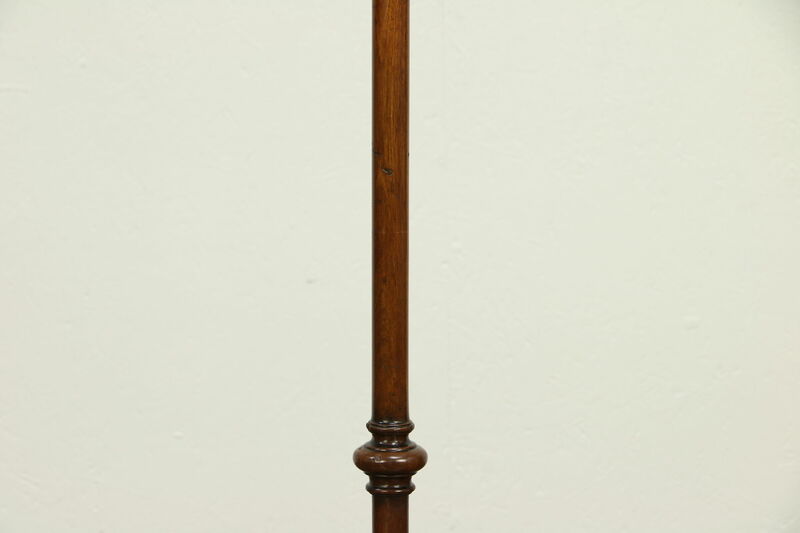 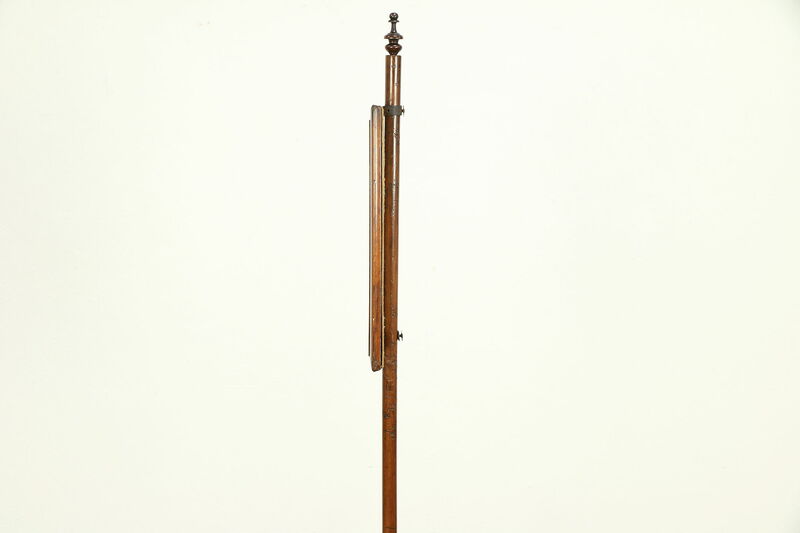 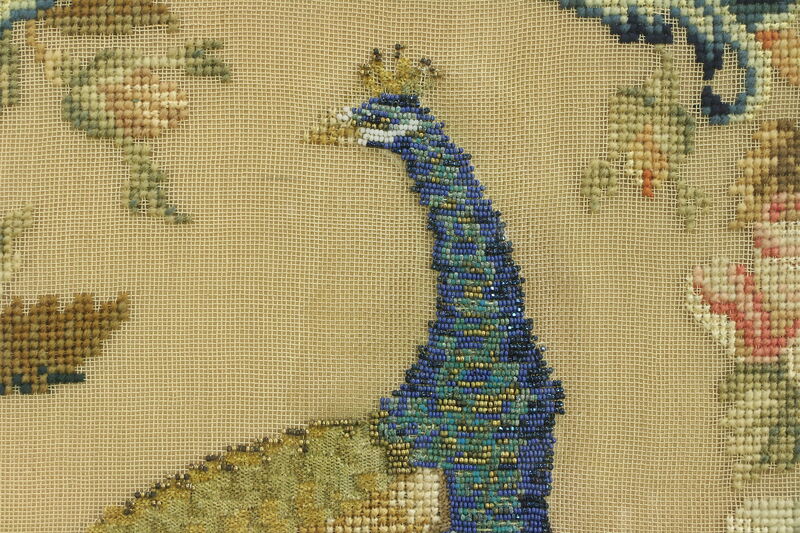 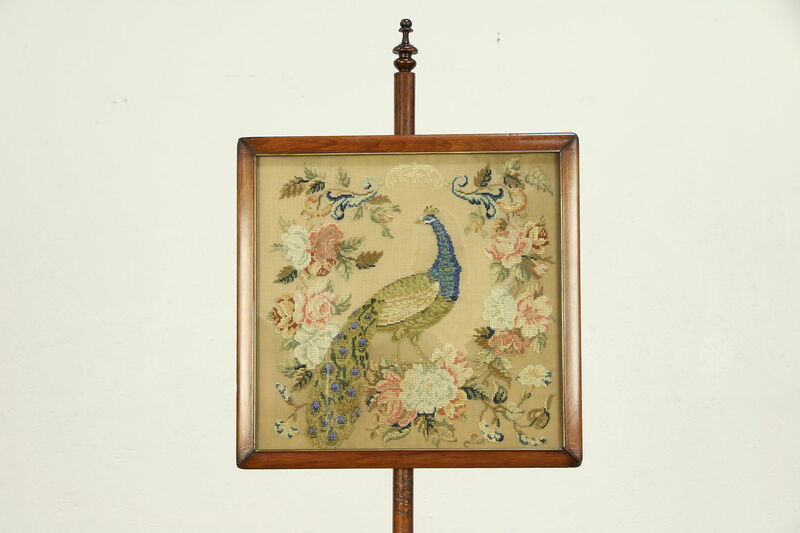 Solid mahogany, the adjustable panel has a peacock motif in hand stitched glass beads and needlepoint. 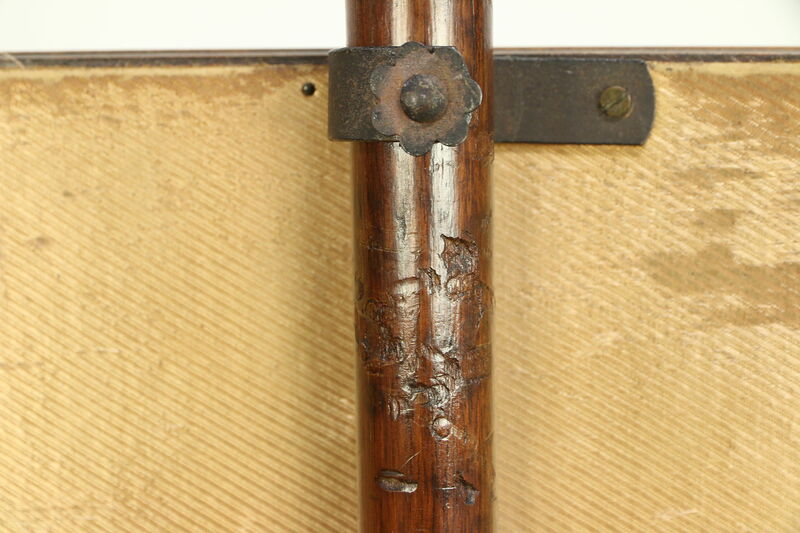 The original finish has just enough mars and wear for a little antique character, see photos. 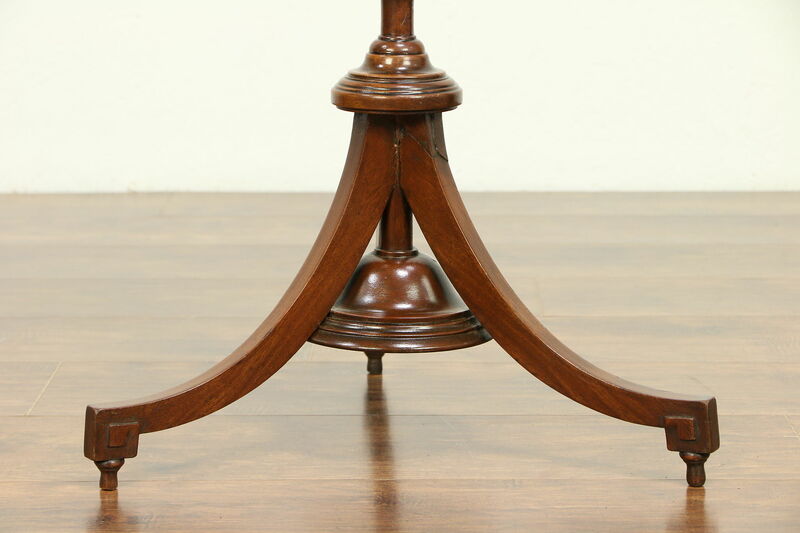 Hand crafted in England, this hearth accessory has warm patina. 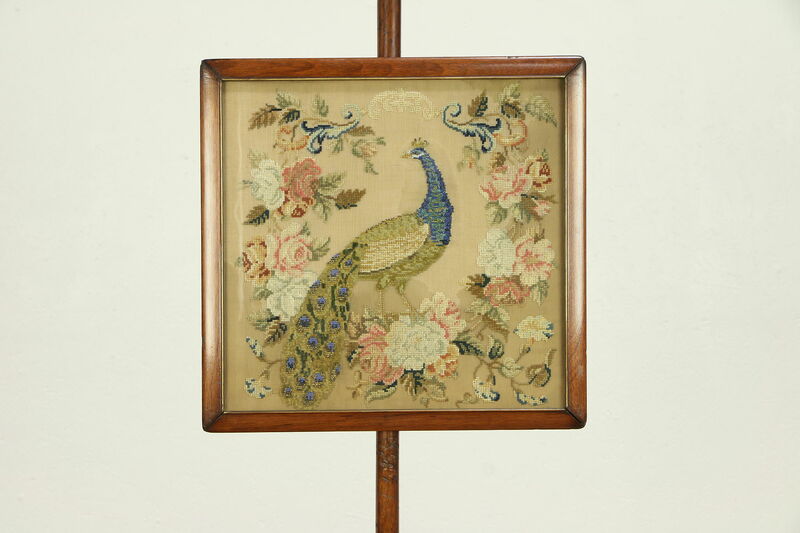 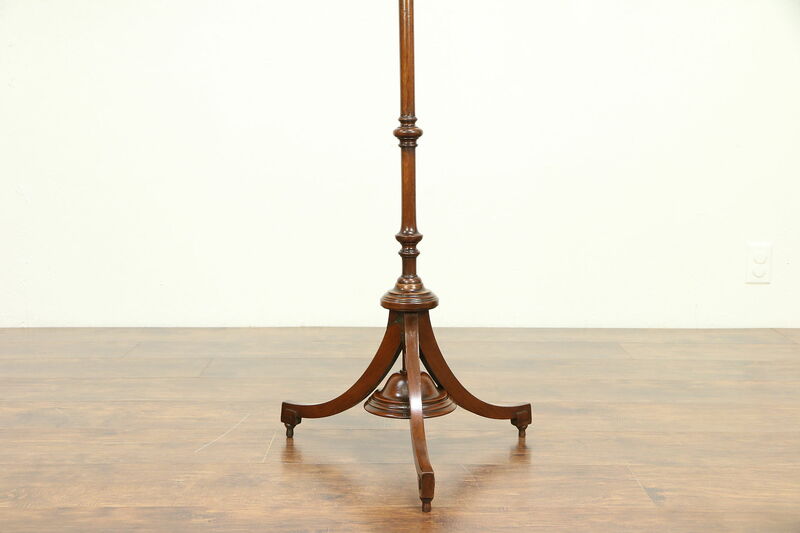 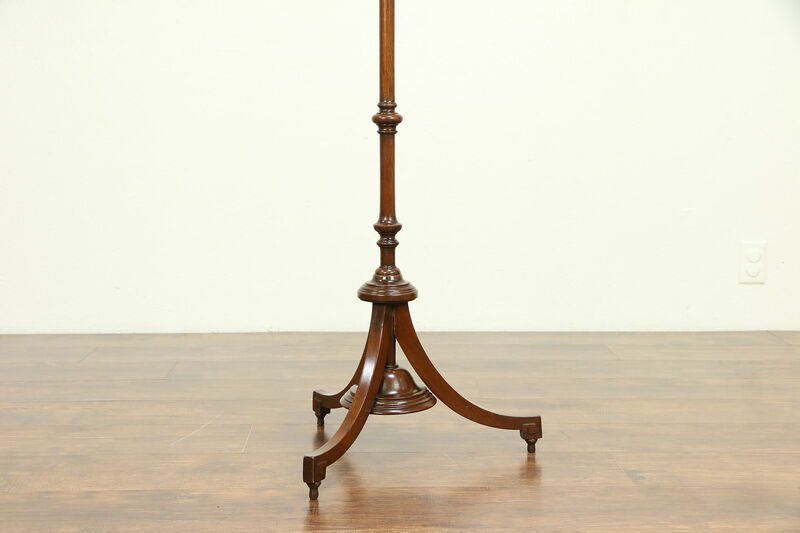 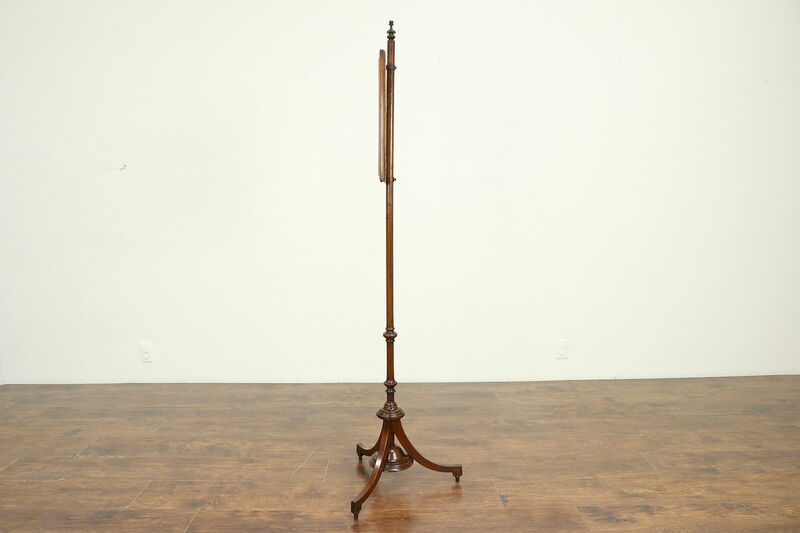 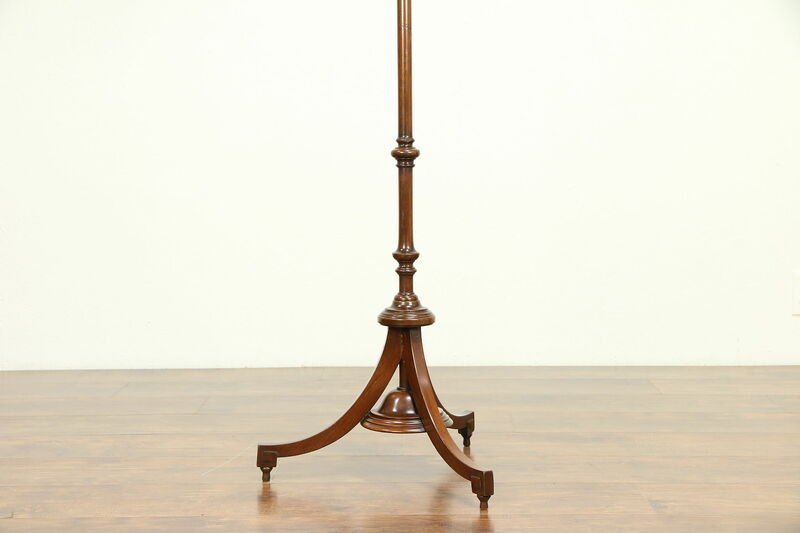 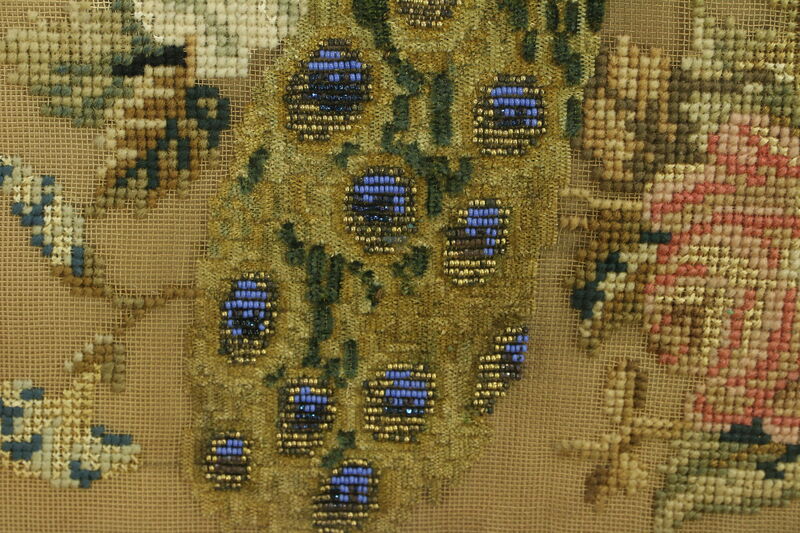 Size is 18" across the legs, 65" tall and the needlework panel is 16" square.